Located in popular Strathcona Park! 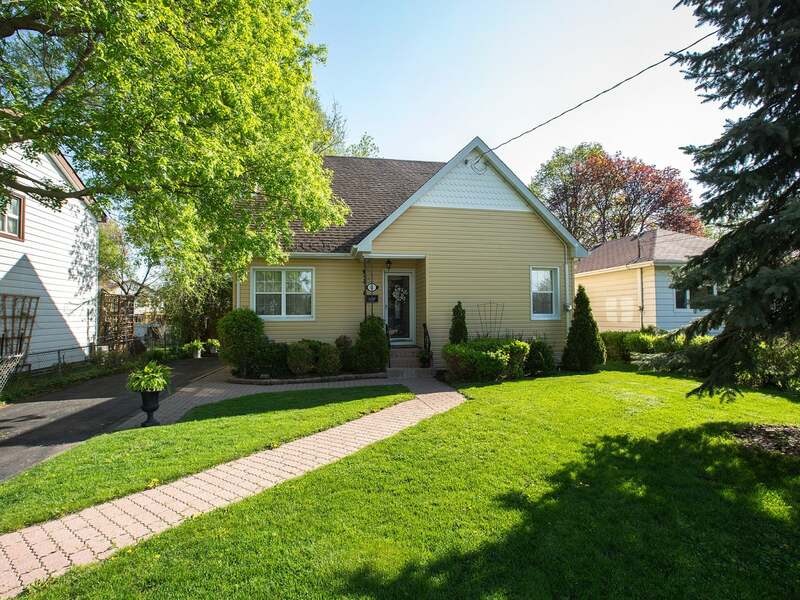 This lovely 1.5 storey home offers 1,400 sq/ft, 3 bedrooms & 2.5 baths. Set on a quiet street on a 50ft x 163ft lot. Landscaped with interlocking walkway, ceramic tile foyer, spacious living room w/hardwood floors, crown mouldings & gas fireplace overlooking the dining room. Updated kitchen w/ceramic tile floors, glass inserts & pantry. Large main floor bedroom, office/den & 3-piece bath. Two more spacious bedrooms upstairs & 3-piece bathroom w/corner shower. Finished lower level offers rec room w/laminate flooring, 2-piece, laundry & utility/workshop. You won’t want to leave this absolutely stunning backyard, beautifully landscaped and ideal for entraining w/family and friends featuring large deck, stone patio with pergola, mature trees & 2 storage sheds. Many great updates including: Roof shingles 2017, Siding 2014, Gas fireplace 2014 and updates to windows, furnace and central air. Paved parking for 4 cars. Just steps to two great schools, grocery store, public transit and minutes to downtown, west end and 401. An absolute pleasure to show, available with flexible possession. Lot Size 50 x 163 Sq. Ft.